With Valentine’s Day coming up, I wanted to do something special for all of the special people in my life, but I also wanted to do something to help someone in the community. …and I decided to make a Valentine’s Day card with it for an elderly person through the Love Letters campaign with DoSomething.org. 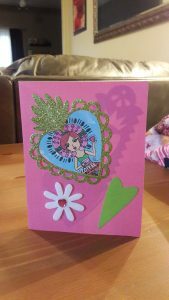 As you’ll see on DoSomething.Org’s website, “15.5 million seniors live alone and face isolation due to location, disability, or language barriers.” Sending a card might seem like an insignificant thing, but you never know how much one simple gesture can brighten someone’s day. Sometimes all it takes is letting someone know that you’re thinking about them. 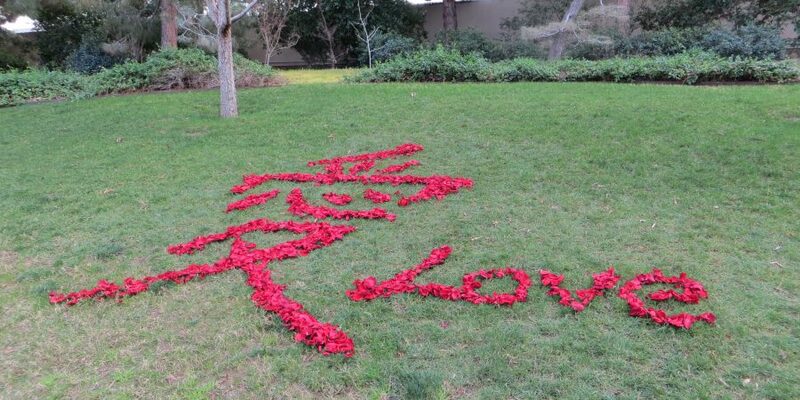 If you’d like some other ideas on how to spread the love on Valentine’s Day and participate in “Random Acts of Kindness” activities, this article has lots of great ideas! Get your family to join in the fun with you! 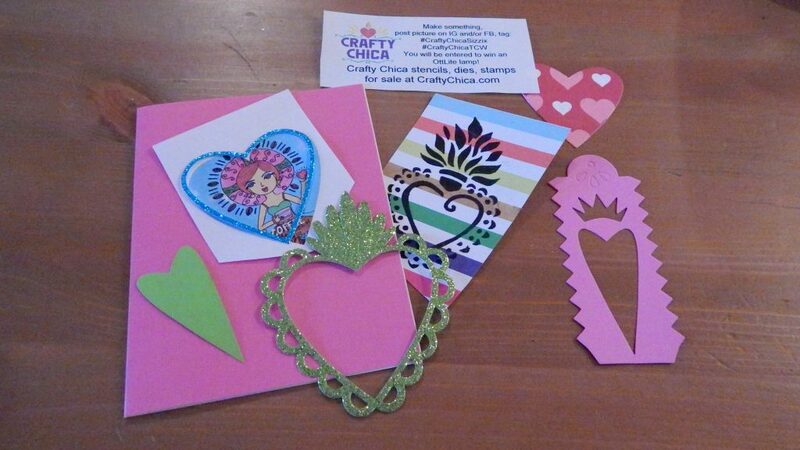 Next on my list was doing something special for my stepdaughter and my husband. 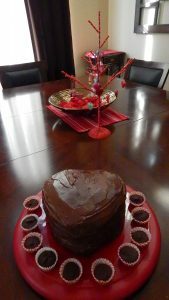 I decided to try making a heart-shaped layer cake with my stepdaughter because she loves to bake. (And, of course, both of us like to sample our baked goods!) This was my first time making a layer cake, but she gave me some useful advice based on some cooking shows she had seen, so it turned out pretty well. What are you going to do with your family this year for Valentine’s Day? What’s on your bucket list for Valentine’s Day? Traditions are important for any family, but they are especially important with a stepfamily because you’re bonding and forming a new family unit. These are the things that you’ll reminisce about next year or five years from now, so start making your Valentine’s Day Bucket List today! What kind of memories will you make together? Share your ideas or pictures below!